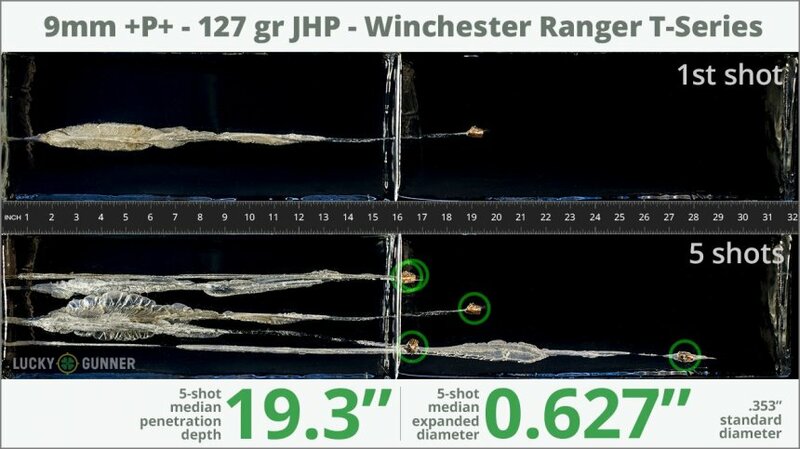 After firing five rounds of Winchester 127 gr Ranger T-Series +P+ from a Smith & Wesson M&P9c into synthetic ballistic gelatin from 10 feet away through four layers of fabric to simulate clothing, we then measured the expansion and penetration of the bullets for this 9mm Luger (9x19) load, which you can see in the chart below. 0.90" This ammo: 0.627" Min: 0.32" Median: 0.50" Max: 0.90"
This is my carry load in my Glock 17. 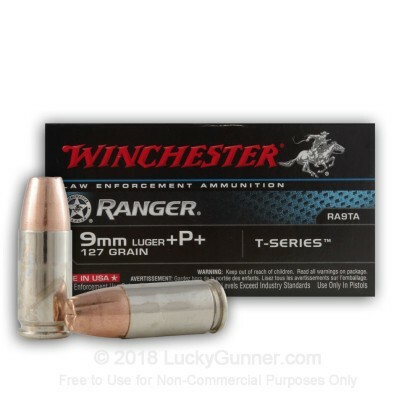 Shoots straight to point of aim, runs great in my gun, not too much snappier than NATO hardball, very low flash (I just shot one a few hours ago), and I have yet to read of a shooting with it that did not produce positive results. It is loud. 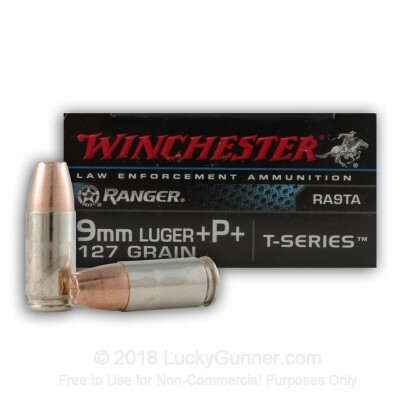 If you want to reload the brass, and you shoot a Glock, have a buddy spot for brass impacts because my 17 really flings expended rounds in this loading. Is it expensive? 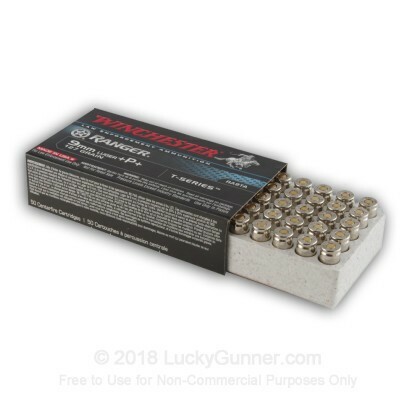 Yes, it is... but A) it is on par with other high end and well proven JHP's at about a buck per pop and B) price is irrelevant to me as if I need to use my carry load, only the very best of the best is acceptable... And this ammo is definitely in that category. Q: Is this sold to Law Enforcement only? A: Hi Bruce. Any one can order any product we have on our site. There are no items for sale that are restricted to LEO only.